“You enter a reception hall of marble and go up a flight of marble steps which give the effect of entering a museum, as there are marble busts and old sculptures round that have been dug up…” Major A. Winsor Weld wrote to his wife on October 26th, 1918, upon entering the American School of Classical Studies at Athens (ASCSA or School hereafter). He and six other officers of the American Red Cross including Lieutenant Colonel Edward Capps would live in the School’s premises until July of 1919. (At the time one entered the Library through the Director’s residence.) Although the ASCSA was already building a small collection of antiquities –mostly pottery sherds and other small objects picked up on walks and informal surveys– the antiquities Weld described are of a different scale. The busts he refers to must have been plaster casts of originals similar to the one displayed above the fireplace mantle in the Library in a photo from 1902. I believe that the other “old sculptures” on display, the ones that “have been dug up,” were three Roman marble funerary reliefs unearthed in 1894, at the corner of Vasilissis Sophias (then Kephissias) and Merlin (then Academy) street, exactly opposite the Palace (now the Greek Parliament), during the construction of a mansion by Charles Edward Prior Merlin (1850-1898). Named after one of Merlin’s French ancestors, the “Hôtel Merlin de Douai” has housed the French Embassy since 1896. “In digging for the foundations of the large house which Mr. C. Merlin, the well-known artist and photographer of Athens, is building at the corner of Academy and Kephissia Streets, the workmen came upon considerable remains of an ancient cemetery. At my suggestion Mr. Merlin made over to the American School the right of publishing these discoveries, and afterwards generously presented to the School three reliefs and one other inscribed stone, together with some smaller fragments. The finds were made in the autumn of 1894. Only a part of them came under my observation at the time; hence the description of the graves and their location rests in part upon the accounts of Mr. Merlin and his workmen” reported Thomas Dwight Goodell a year later (American Journal of Archaeology 10, 1895, pp. 469-479). Curtis Runnels, Professor of Archaeology at Boston University, here contributes to From the Archivist’s Notebook a story about the accidental discovery of an original letter by Heinrich Schliemann at an Antiquarian Book Fair in Boston. The letter was found inside an old Greek-English lexicon that Runnels bought for his book collection. In addition to doing fieldwork and publishing extensively on Palaeolithic archaeology in Greece, Runnels is also the author of The Archaeology of Heinrich Schliemann: An Annotated Bibliographic Handlist (Archaeological Institute of America; available also as an ebook from Virgo Books). Despina Lalaki holds a PhD in Historical Sociology from the New School university while she currently teaches at the The New York City College of Technology-CUNY. The essay she contributed to ‘From the Archivist’s Notebook’ is largely an excerpt from her article “On the Social Construction of Hellenism: Cold War Narratives of Modernity, Development, and Democracy for Greece,” in The Journal of Historical Sociology, 25:4, 2012, pp. 552-577. Her essay draws inspiration from an unpublished manuscript by archaeologist Carl W. Blegen, titled “The United States and Greece” and written in 1946-1948. Carl W. Blegen (1887-1971) is one of the most eminent archaeologists of the Greek Bronze Age. Nevertheless, he intimately knew Modern Greece, too. In 1910, at the age of twenty-three, he first visited the country as a student of the American School of Classical Studies at Athens (hereafter ASCSA), and by the time of his death in 1971 he had made Greece his home and his final resting place, having experienced first hand the land and its people in the most troublesome moments of their modern history. In 1918, for instance, he participated in the Greek Commission of the American Red Cross, assisting with the repatriation and rehabilitation of thousands of refugees who during the war had been held as prisoners in Bulgaria. During WWII, he was recruited by the Office of Strategic Services (OSS) to head the Greek desk of the Foreign Nationalities Branch (FNB) in Washington D.C., which was following European and Mediterranean ethnic groups living in the United States and recording their knowledge of political trends and conditions affecting their native lands. 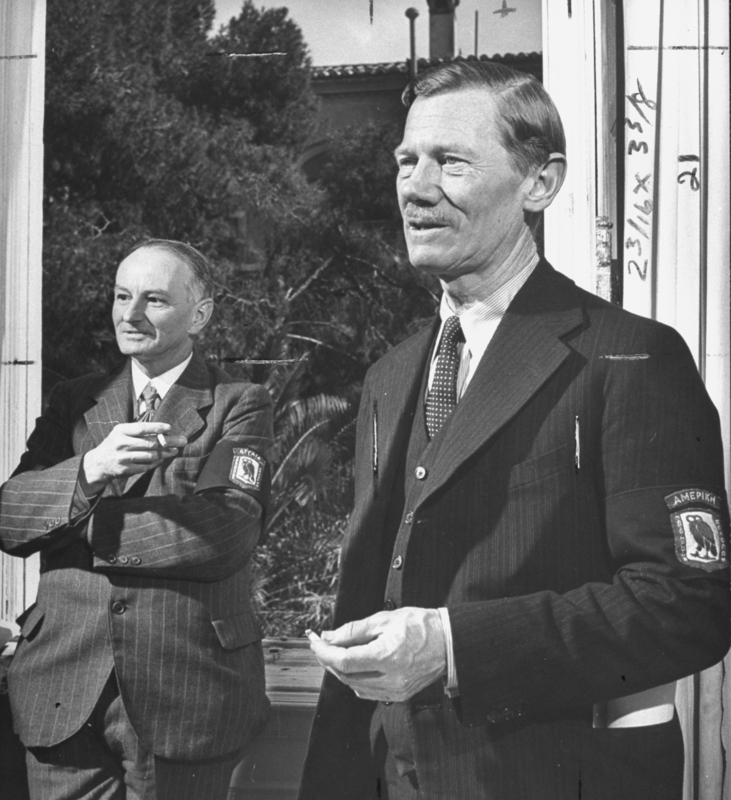 J. W. Foster (left) and Carl W. Blegen (right) standing at the headquarters of the Allied Mission for Observing the Greek Elections (AMFOGE), 1946. Photo by Nat Farbman. The LIFE Picture Collection/Getty Images/Ideal Image. This essay comprises the text of a talk that I presented in the Cotsen Hall auditorium of the American School of Classical Studies at Athens (ASCSA), April 9, 2013, at an evening devoted to novelist Elias Venezis, whose papers reside in the Archives of the Gennadius Library. 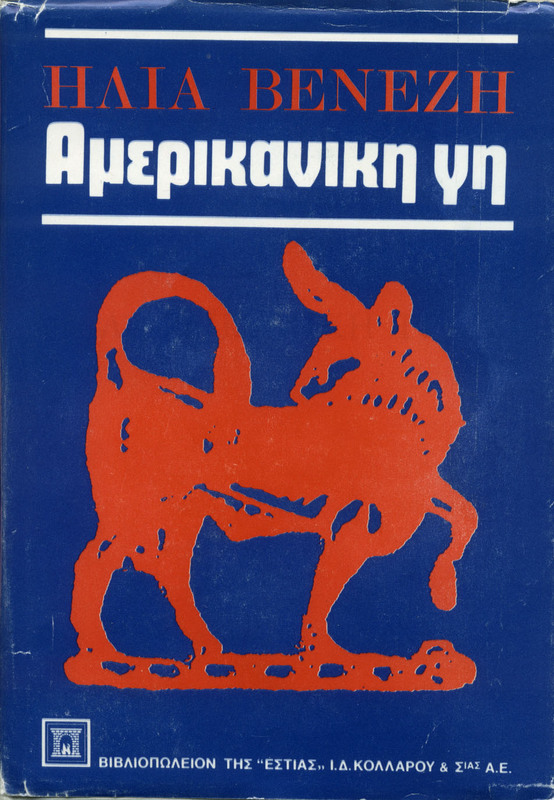 The text was also published (in Greek ) in the “Athens Book Review,” in an issue dedicated to Venezis. Since my essay discusses two of Greece’s most important novelists’ impressions from their journeys to America, I thought that it also deserved to be published in English and be made available to an American audience (here, I must thank my friend and former colleague Stefanie Kennell for her wonderful translation). For half of my life I have studied and worked in a Greek-American environment; there interest lies in examining how foreigners (usually described as philhellenes) perceive(d) Greece, and it is rarely discussed, at least in the broader community of the American School, how Greeks experienced America at critical times, such as in the first decade following WW II. 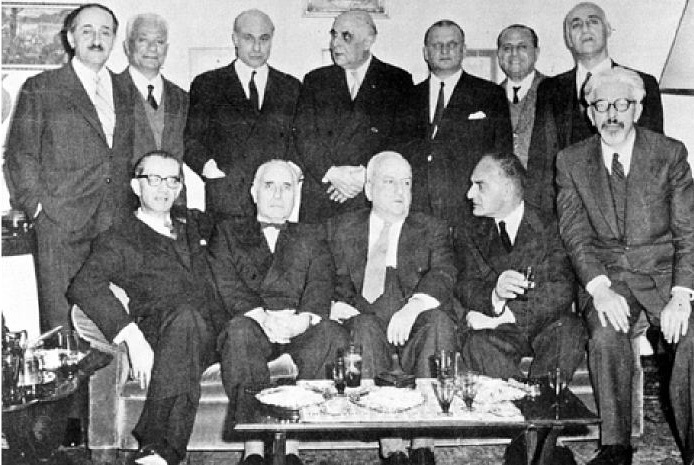 The two authors, Elias Venezis and Yiorgos Theotokas, traveled in America during the period of the Marshall plan and the beginning of the Cold War, just before strong anti-Americanism began developing in Greece. For both, the voyage to America was a journey to a mythical land — as implied by the title of this essay, which is drawn from the title of a talk (“Ένας Έλλην συγγραφεύς στη χώρα του νέου μύθου”) that Venezis delivered at the Greek American Cultural Institution in 1950, immediately after his return from America. For those who are not familiar with Modern Greek Literature, I should also add a few remarks about the so-called literary “Generation of the Thirties.” As commonly employed, this term describes a group (all male) of novelists, poets, and artists, who came of age in the 1930s. These men continued to be very productive and influential in the following three decades, to the point that a myth with regenerative power was built around them, one that still aspires and inspires (Leontis 2013). Nobel-prize laureate poets Yiorgos Seferis and Odysseus Elytis, novelists Angelos Terzakis, Stratis Myrivilis, Elias Venezis and Yiorgos Theotokas, are some of the most accomplished and distinguished “members” of the “Generation of the Thirties.” The personal papers of most of them have been deposited in the Gennadius Library of the American School. In 2009, at an event devoted to Yiorgos Theotokas and the republication of his Essay on America, I was introduced to Greek travel literature about America. 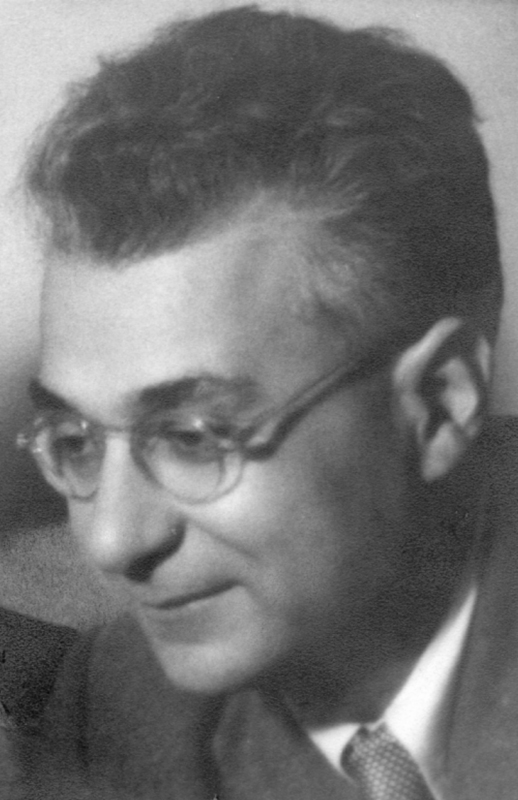 Theotokas was among the first writers of the so-called “Generation of the Thirties” who visited America a few years after the end of World War II. While taking receipt of Elias Venezis’s personal papers in 2010, I came upon the manuscript of Land of America and then, in discussions with the author’s daughter, Anna Venezi Kosmetatou, I was made aware of the fact that Venezis was actually the first of the famous “Generation of the Thirties” to travel to the U.S., in 1949. Unlike the other writers and intellectuals who visited the U.S. in the 1950s and 1960s, Venezis began his long journey without the support of the American government. The famous program of cultural exchanges sponsored by the the U.S. Information and Educational Exchange Act of 1948, popularly known as the Smith-Mundt Act, does not seem to have been implemented immediately in Greece. What is certain is that Elias Venezis and his wife either did not know about or did not expect American government support when they decided in the summer of 1949 to cross the Atlantic. On the opposite shore was Venezis’s brother, Thanos Mellos and his wife, the mezzo-soprano Eleni Nikolaidi, who had settled there just a year before.